Winchester Nublack 10 gauge and Winchester Western Shotshell Tour 1984 vintage shotshell that is near mint in 12 gauge. 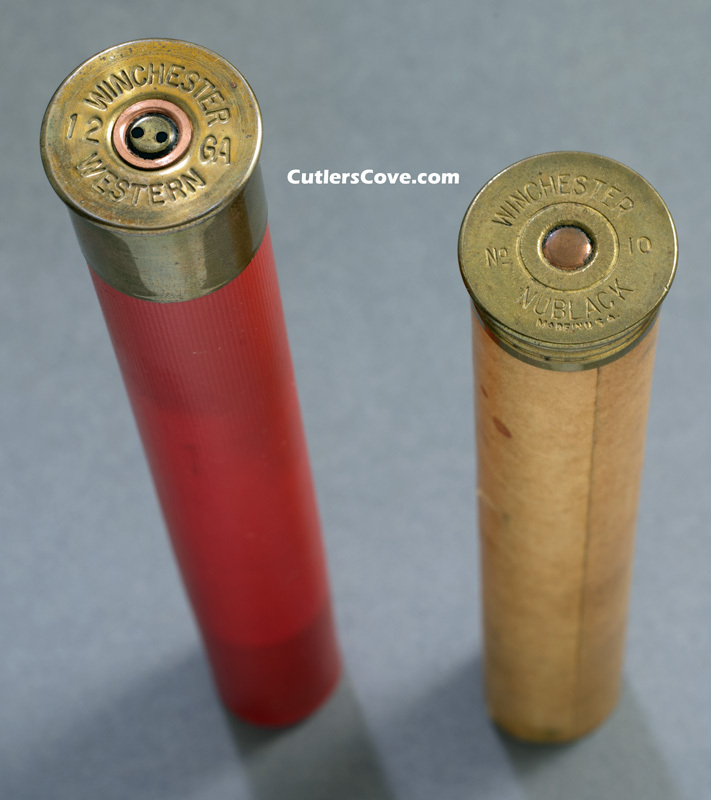 Winchester	Nublack vintage/antique display shotshell that is excellent in 10 gauge. It is tan paper with low brass and not loaded. It is 6 inches long. (1905-1938)--80 to 113 years old--Not a common shell. Winchester Western Shotshell Tour 1984 vintage display shotshell that is near mint in 12 gauge. 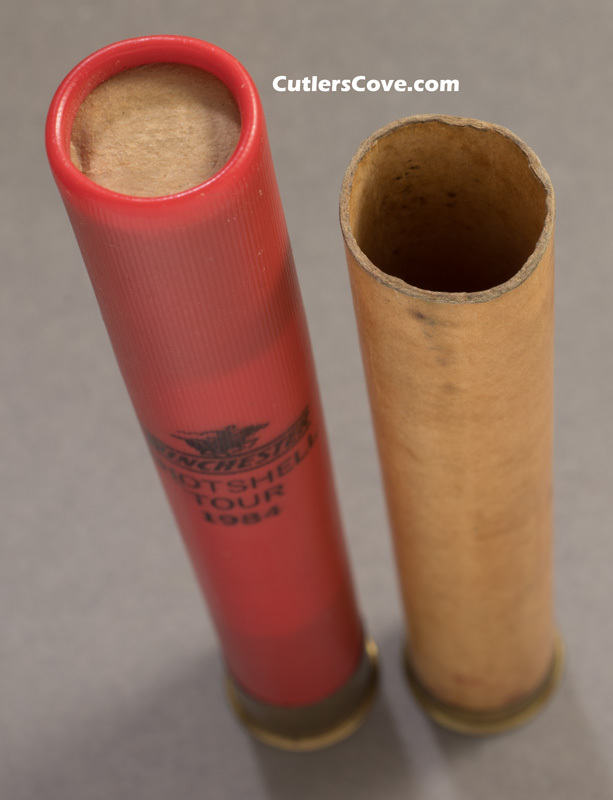 The shell is light red roll-crimp plastic with high brass. It is 6-7/8 inches long. 34 years old--This is a good looking special shell! There is a $15.00 minimum order shotshell requirement. If you see something you want to buy on the website and we are not open to place an order you can call or email and leave a detailed description of what you want including the order number and name of the item and your phone number and we will honor the earliest phone call or email first. Almost all we have for sale is the only one we have and when it is purchased we cannot get another one. So, all items are first come and first served.